The structure of the Universe has to come from somewhere. Modern physicists have discovered a majority of the basic functions of the Universe, but they haven’t provided any great theories on how its framework came to be. Thought Theory explains that everything originates from the circle, and its three basic divisions (the inside, outside, and border/perimeter). These divisions lead to relativity, quantum mechanics, and even thought, and this is made possible by ‘conceptual overlaying’ (ie. mirror-symmetry). 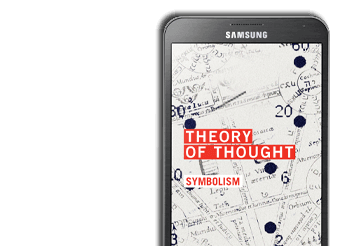 In Thought Theory, it’s a fundamental law that allows an object to symbolize more than one concept simultaneously. Through conceptual overlaying and symmetry, all of the things we come to discover and realize, fall within the three basic divisions of the circle. 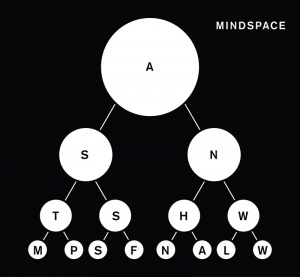 The above pattern is of the utmost importance – it can be understood as the Three Principles of Mindspace and can be found at the top of the Tetractys. 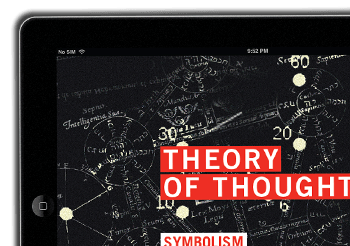 The Tetractys symbolizes how any symbol is fundamentally divided across a mindspace. It illustrates how the physical and abstract dimensions emerge from the initial branches of a very basic binary tree. Does this mean that the universe is binary in nature? Should we stop thinking in terms of base 5, 10, 12, 16, etc.? 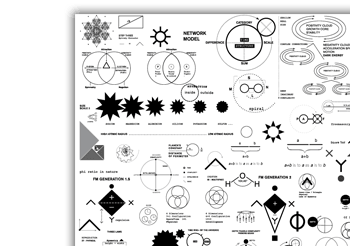 I would suspect that all mindspace patterns are highly dependent on binary hierarchies, although I believe there are vast numbers of increasingly complex hierarchies within mindspace (called polynomials), which makes other bases quite useful for calculation.